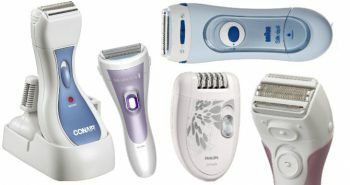 Many men prefer a rotary style men’s electric shaver over a foil style one, but it can be difficult finding an affordable rotary style shaver. 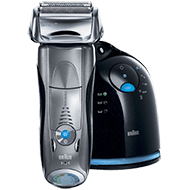 Philips has one model, the Philips Norelco Shaver 6800 Model 1190X/46, that is available around $100. It’s cordless and rechargeable, and can be used wet or dry. 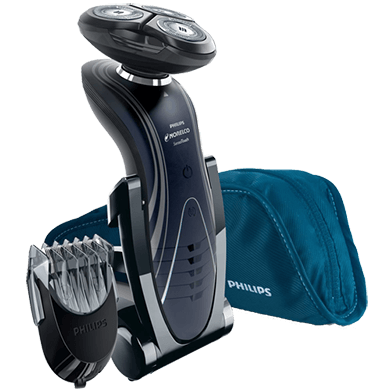 The Philips Norelco Shaver 6800 Model 1190X/46 is black, with a long curved shape that makes it easier to hold in the hand. There are three circular rotary blades encased within the head. 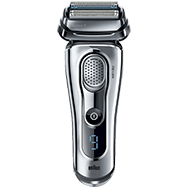 The front of the shaver has an LED light, as well as a progressive LED readout panel along the bottom to display current battery power. This readout tells you a five level battery stage, so that you can tell when your battery is full, or when it is slowly dropping down. The lowest stage will indicate a low-battery warning, giving you notice that it’s time to place it back on the charging stand again. 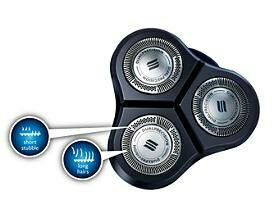 The rotary blades have DualPrecision shaving heads that will trim off the shortest stubble or long three day old growth. 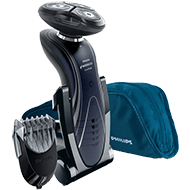 The rotary heads have been built with a SkinGlide surface that allows the shaver to easily glide over the surface of the skin for a closer and safer shave. Inside each of the heads are dozens of tiny slots which help to shave off the longer hairs. There are also holes which are used to shave off stubble. 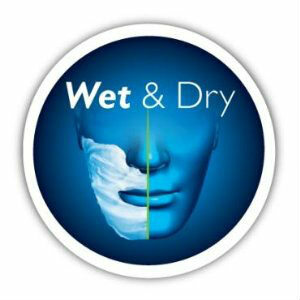 The rotary head is made with Gyroflex 2D, so that it moves and adapts to the surface of your skin, making it a more comfortable shave, whether wet or dry. While each of the rotary heads is gently rounded, the top of each has a smooth flat surface with rounded edges, providing more comfort with an effective shave, and ensuring that the face will not be left red or irritated afterwards. The rotary heads are able to pivot around in a circular motion, as well as being able to tilt inwards. Inside the rotary trimmers are super lift and cut action blades. These blades actually lift up hair, even ones that are facing in the opposite direction, or laying flat against the skin. They will trim the hair just below the surface of the skin. This provides for the closest shave possible. But your shave will still be comfortable too. 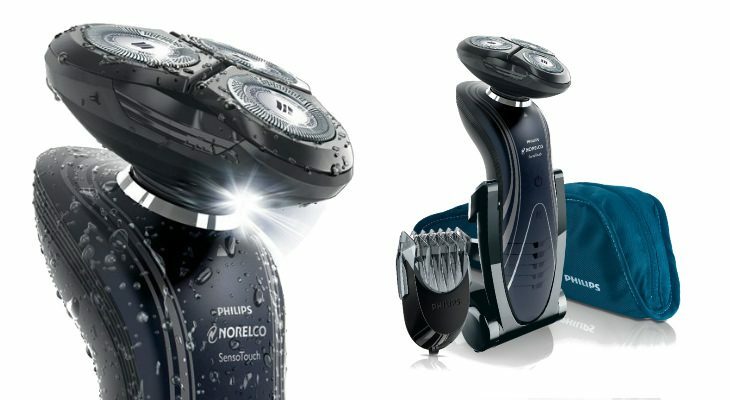 Men will be pleased with the shaving performance of the Philips Norelco Shaver 6800 Model 1190X/46. No matter what the contours or angles of your face are, this shaver will be able to handle them. Its contour following technology will adjust to each curve of the face immediately, so that pressure and irritation is minimized. Now you’ll have a closer shave that is much easier on your skin. 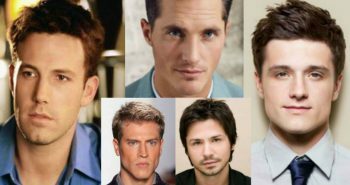 Your face will also be fully shaved, not leaving behind any loose or stray hairs, which can add to your shaving time. The protective case on this shaver is waterproof due to its Aquatec seal technology, so shaving can be done wet or dry, and with shaving creams, foams, gels, and soaps. You can bring your shaver with you anywhere for an immediate shave. If you choose to use your shaver wet, it will give you extra skin protection and enable you to trim the hairs right down to the surface of the skin. While there is no separate cleaning and charging station, it can be easily rinsed under a tap after use to get out the fine hairs and any soap or shaving products. The shaver does have a charging stand, so your shaver will be held upright to minimize clutter on the bathroom counter. The charger station is also of a matching black plastic material. The charger station is foldable, so it can take up less space in the bathroom when you don’t need it, or it can easily be transported in your luggage. The shaver contains a rechargeable lithium ion battery. 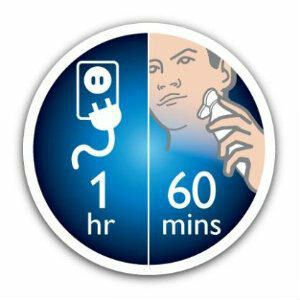 It takes one hour to fully charge up your shaver, which gives you about fifty to sixty minutes of cordless shaving time. If you’ve forgotten to charge up your Philips Norelco Shaver 6800 men’s shaver the night before, and there is no battery charge left, you can use the three minute quick charge which will give you enough power to complete your morning shave. There is a separate five length trimmer attachment that can be used to trim beard, sideburns, or moustache to your preferred length. This is skin-friendly, protecting your skin while trimming hair. In each box you’ll receive one Philips 6800 Model 1190X/46 men’s cordless electric shaver, a charging stand, a blue zippered travel soft pouch, a click-on attachable trimmer, a protective rotary head cap, the power cord, and a cleaning brush. 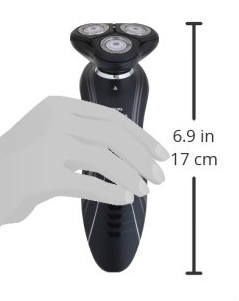 The length of the shaver measures 6.9 inches or 17 centimeters. The package weighs one pound. It’s recommended that the RQ11 replacement heads are changed once every twelve months to keep your Philips 6800 men’s shaver in optimum running order. It should last for years to come, and replaceable heads keep shavers from being dumped in the landfills as you only have to replace the top rotary part. The Philips Norelco Shaver 6800 shaver men’s shaver is a great rotary style shaver for men who are on a budget but who want the flexibility and close shaving of a rotary style head.